Where Exactly In Parliament Was The British Prime Minister Killed? Will Noble Where Exactly In Parliament Was The British Prime Minister Killed? Like lots of Britons over many centuries, John Bellingham held a grudge against the government. But Bellingham — who'd spent years imprisoned in Russia, under false accusations, received no bailout and then no subsequent compensation from the British government — was determined to have his revenge. 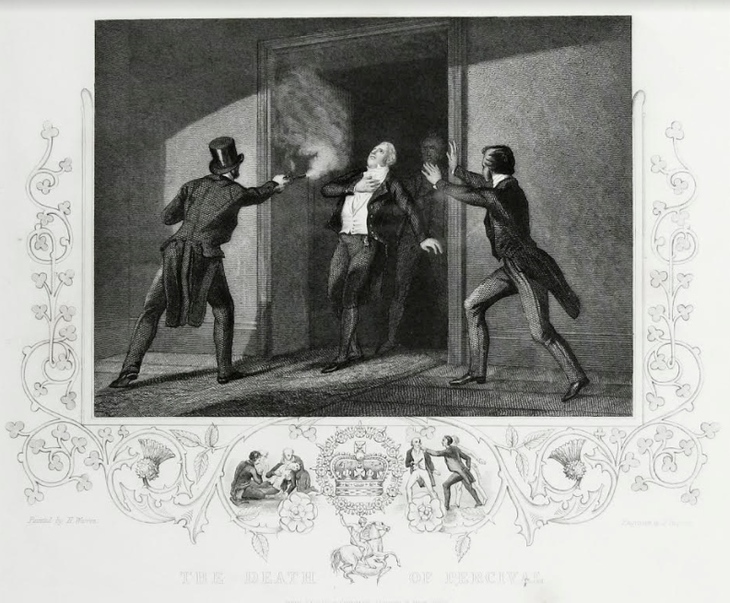 At the end of his tether, he decided to make the top brass — prime minister Spencer Perceval — pay with his life. At around 5pm on the afternoon of 11 May 1812, Bellingham sat quietly by a fireplace in the lobby of the Palace of Westminster. He had become a regular visitor to Parliament over the past few weeks, examining MPs from the gallery of the House of Commons with a pair of opera glasses. 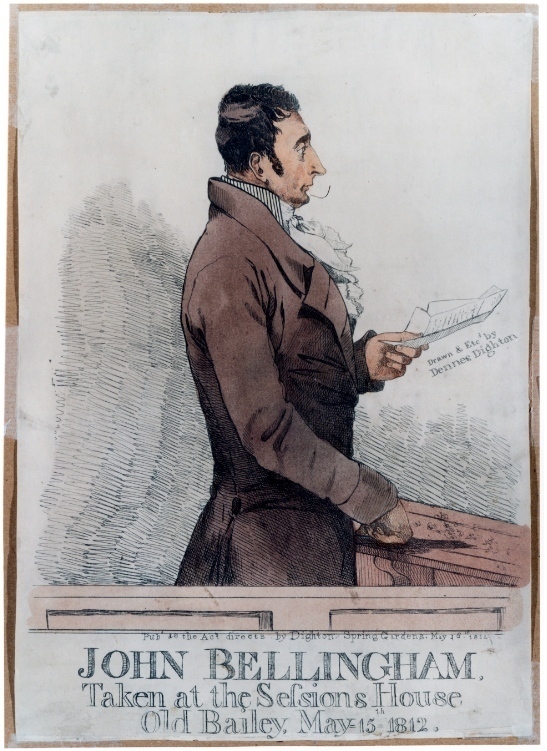 As Perceval entered the lobby through a side door around 15 minutes later, with "light and lithesome step", Bellingham rose from his seat, bearing a loaded pistol (a second was hidden inside his coat), and fired a shot directly at the prime minister's chest. The lobby went into a shocked silence as the prime minister, it's said, reacted with equal theatricality, staggering, falling to the ground and crying out "I am murdered!"' or something to that effect. Rushed into the Speaker's apartments by fellow Members of Parliament, Perceval now only muttered a few 'convulsive sobs', and was soon after pronounced dead. He was the first — and remains the only — British prime minister to be assassinated. Yet how many visitors could point to the spot where Perceval fell? Certainly, there is no equivalent of the Sixth Floor Museum. In fairness, the spot where Perceval fell looks very different to how it did then. 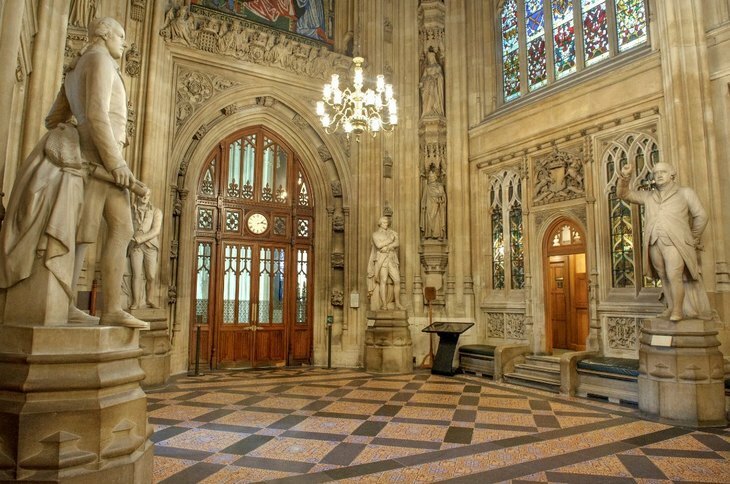 The Houses of Parliament themselves fell in 1834, in a devastating fire, and images of the shooting depict a rather plain looking lobby, in contrast to the resplendent setting of Augustus Pugin's later interior designs. The fireplace was never rebuilt. 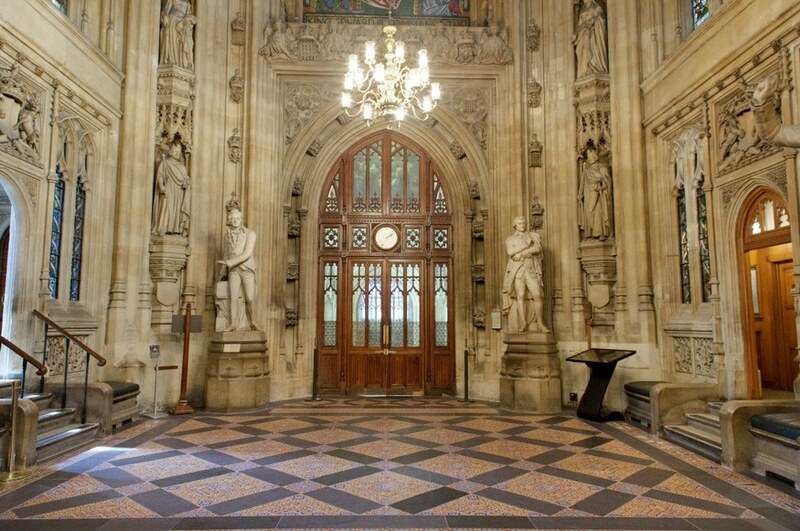 Still, though today's Central Lobby bustles with statues of those who've trodden these corridors of power, Perceval gets short shrift; marble MPs gaze coldly over the murder scene, but nothing commemorates the fact that Perceval was struck down dead, while performing the most important job in the country. True, there are memorials to Perceval in Lincoln's Inn and Westminster Abbey, but these are humble in appearance, the former written in Latin, the latter in "anything but pride of place". In 2012, calls for another monument to Perceval were dismissed by the government. Mutes and Attendants on horseback; Hearse and Six with the Body; Six Mourning Coaches, followed by 25 Carriages, the Carriages of the Cabinet Ministers, Relatives of the deceased, his own Carriage, &tc. The strong and general impressions of unaffected sorrow which were manifested , bore ample testimony of the high estimation in which the deceased was held." But did the country as a whole weep for Perceval so heartily? Some sources claim that Perceval's death was met in many quarters with 'jubilation'. And how many Brits today know that the former PM lies in a Charlton churchyard? As for Bellingham: justice was swift and brutal. He was sentenced to death, and hanged just a week after he'd killed Perceval. For a short while, he was celebrated by some as a principled hero — one who calmly explained on the scaffold why he was about to die, and why he had no regrets for dispatching with the prime minister. You can see the spot where Spencer Perceval was killed on a tour of the Houses of Parliament.